Multi-millionaire Indian Heiress - Shriya Bhupal had the dreamiest pre-wedding festivities in France! Seems like it’s raining celebrity weddings this year. 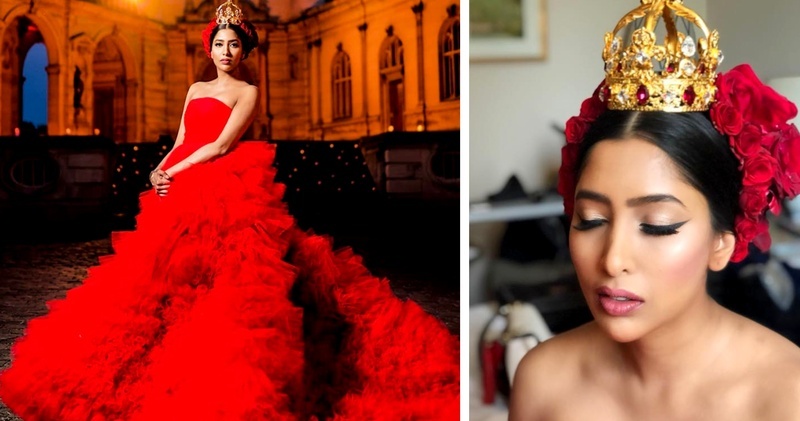 Shriya Bhupal - this multi-millionaire Indian heiress is all set to tie the knot to Anindith Reddy and believe me when I tell you, the pre-wedding pictures will blow your mind. The grand wedding is expected to take place in some of the most magnificent locations in Hyderabad in June or July this year. Shriya Bhupal is the daughter of Hyderabad Businesswomen Shalini Bhupal and granddaughter of industrialist GVK Reddy and the brains behind the fashion brand Shriya Som. Anindith Reddy is the grandson of Apollo hospitals chairman Prathap C Reddy. The pre-wedding activities kicked off with a masquerade ball and it was nothing less than mind-blowing. Held at the historic Château de Chantilly in Paris, the bride-to-be picked an elegant Giambattista Valli haute couture gown and looked every bit phenomenal. I am in love with her natural makeup with winged eyes, subtle blush and highlighter on fleek.